Nursing in public was always a fear of mine. I loved nursing Laikyn, but I didn't want anyone to see me exposed or make anyone feel uncomfortable. I hardly ever did it, unless I had to, for that reason! I love that nursing now can be stylish and discreet with covers like Covered Goods all over coverage nursing covers. Not only are these nursing covers useful for nursing, but they are also great for covering the infant seat! I HATED taking the baby in public because people tend to touch and goo and gah over babies! I didn't want the germs!! 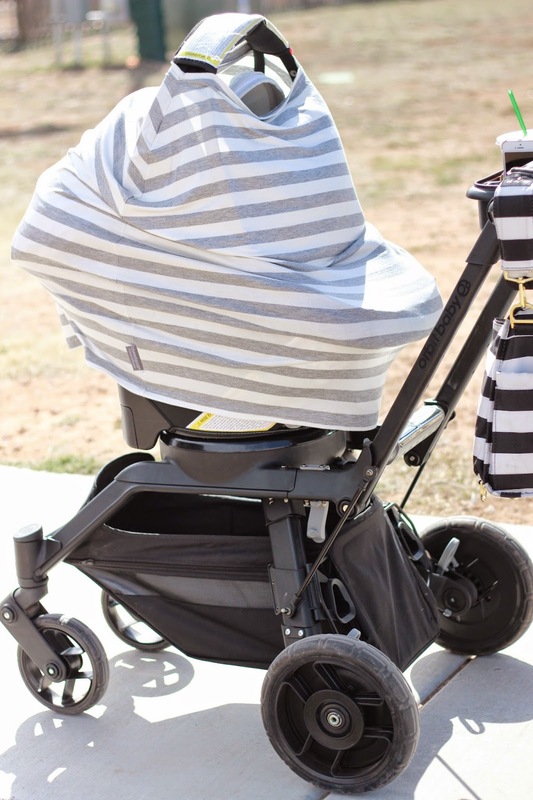 I love that Covered Goods has a slit for you to see the baby and for the baby to get air, but it keeps them covered and away from nasty germs! These covers are so adorable! I love all of the patterns, but I'm such a sucker for stripes that I got the grey striped one. Another great thing about these, is the fabric is SO soft and can just be thrown in the washer with all of the other adorable baby clothes to clean. Seriously, no hassle! 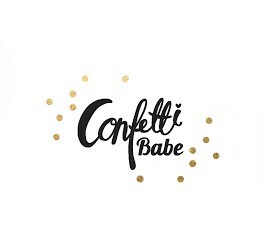 Covered Goods is offering Confetti Babe readers 20% off any nursing cover! Just head over to their website and use the code: CB20 to claim your offer! Also, check out my Instagram page for a special launch giveaway!! Seriously, you guys are going to LOVE this!! NO MORE FEAR of being exposed! Covered Goods™ nursing covers give you all the benefits that the traditional covers do… and more! Covered Goods™ nursing covers provide true ALL OVER COVERAGE, front and back, and are made of super comfy, breathable fabric that stretches. Covered Goods™ nursing covers allow you and your baby to nurse comfortably. There aren't any straps or rings to mess with, they take seconds to put on and take off, and they alleviate any worry that your baby will kick or pull your cover off. The flexible neck is also able to be worn down under one arm to give you even more freedom while nursing. The added benefit of the flexible neck allows you to peek in on your baby or make sure your little one has latched properly. The cover can be folded very small and in any fashion for storage without the worry of ruining it. With Covered Goods™, you can truly nurse anytime, anywhere! Disclaimer: This is a sponsored post by Covered Goods. The site did not receive any compensation for this post, although contributors may receive items to sample or review. All opinions expressed are that of the contributors. Wow it is a nine post. Thanks for your post.